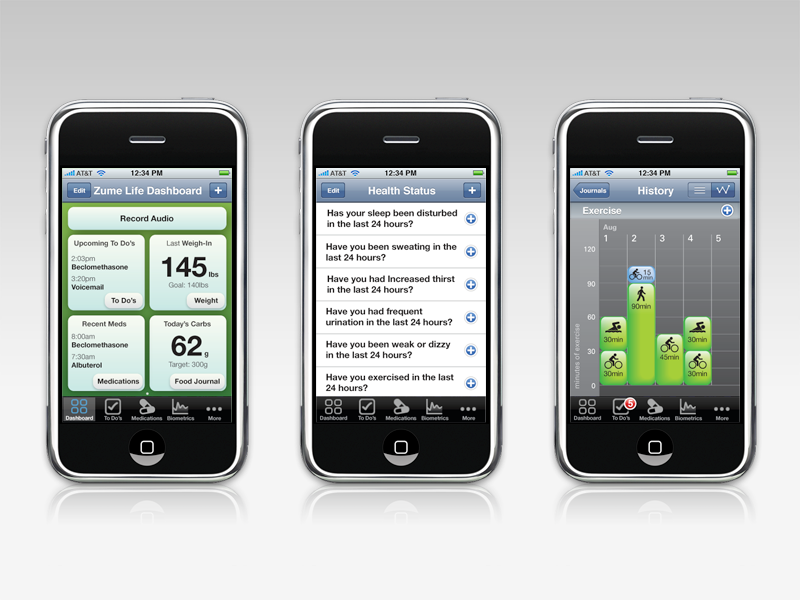 DDO worked with Zume Life to create interaction design prototypes for a personal mobile health management service. The service integrates hardware and software to improve the relationship between individuals and health professionals. The Zume Life service consists of two primary components. 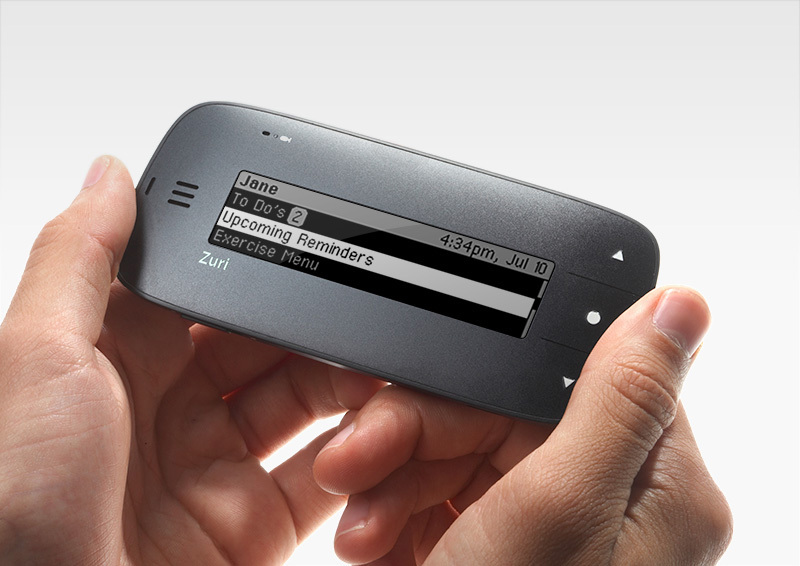 A mobile device, “Zuri,” provides reminders that allow people to track all health-related activities. 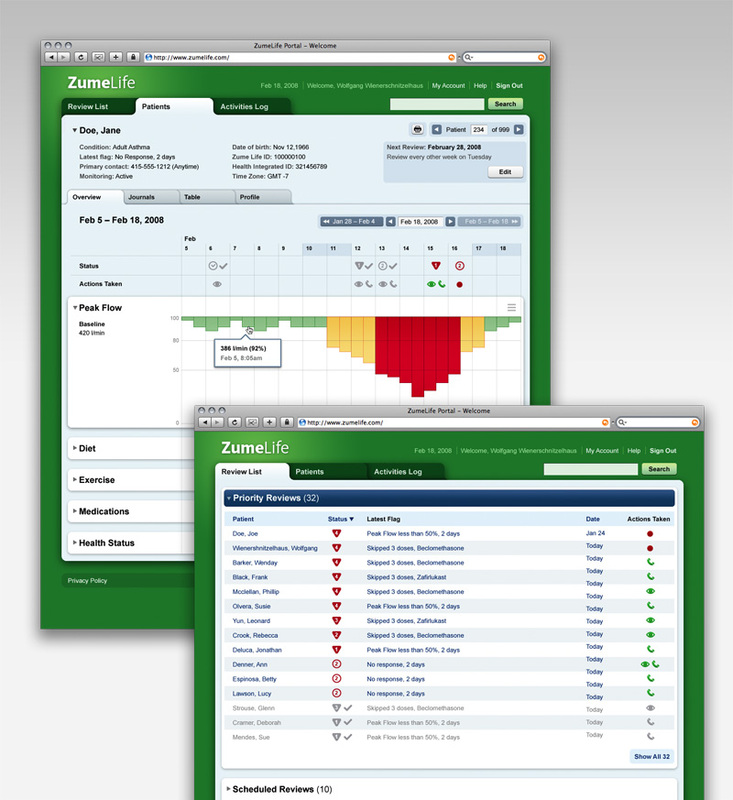 A web portal uses the information collected by Zuri to provide rich data analysis, personalized health information, and strengthen a supportive social network. It enables users, family caregivers, and professional providers to continuously review health patterns and respond with changes to improve health. Our service design work for Zume Life included interaction design for the Zuri, web-based application design for managing patients, a branding and identity system, and a quick start guide.